As you pick up all the components for the BINGO FOR TWO at this year's Stationery Show, you'll notice all the chips printed on different substrates. Some of them you've probably heard about, but we're certain there will be quite a few new papers to savor. As a fine art paper supplier we try to encourage paper lovers to experiment and try something new. For many (most) of the printers and designers involved in the BINGO project, this was their first time using their selected paper. And once you see the results, we think you'll agree how spectacular the paper performed. 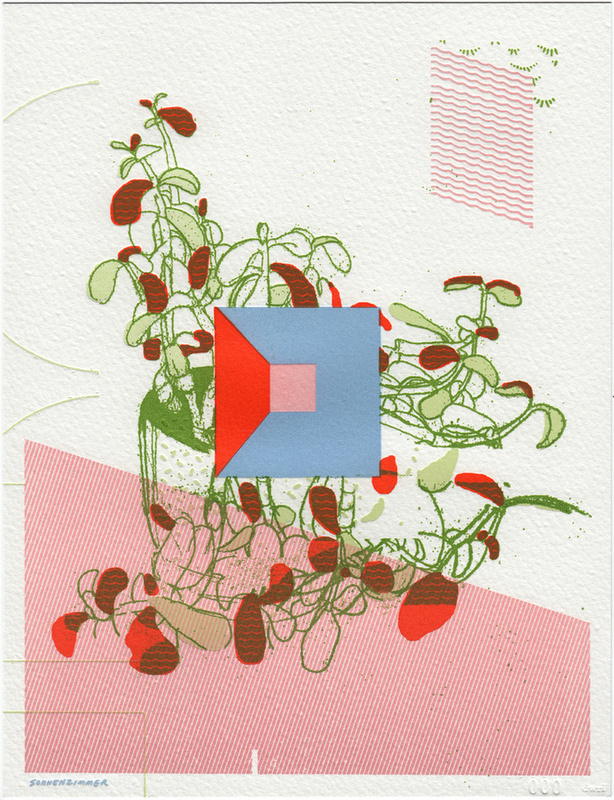 Another new print from a Legion favorite, Dan Wood at DWRI Letterpress. 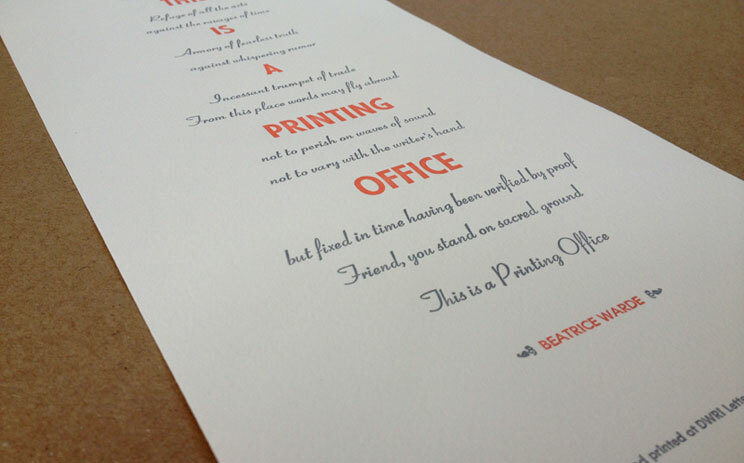 Printed in newly-cast metal type on Somerset Book 175gsm Softwhite and available framed or unframed at Tiny Showcase. 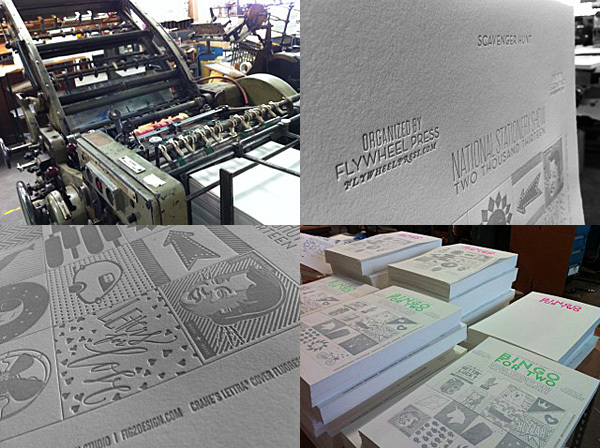 “Dissolution of a Plant” is an five-color letterpress edition of 100 prints designed by Chicago’s Sonnenzimmer and printed by one of our favorites - Providence’s DWRI Letterpress. Measuring 7 x 9 inches, the artwork was printed on Arturo White 300gsm. Each print has been blind-debossed with the edition number, artist’s name, and the insignia of the printer and ships with a corresponding certifiate of authenticity. Edition of 100 and available right now at Tiny Showcase. Thanks to The Poster District for the great find.